This Dec. 7, 2018, file photo shows President Donald Trump address the Project Safe Neighborhoods national conference in Kansas City, Missouri. It's looking increasingly like the partial government shutdown will be handed off to a divided government to solve in the new year — the first big confrontation between President Donald Trump and Democrats — as agreement eludes Washington in the waning days of the Republican monopoly on power. Trump on Friday threatened to close the U.S. border with Mexico if Democrats in Congress don't agree to fund the construction of a border wall. 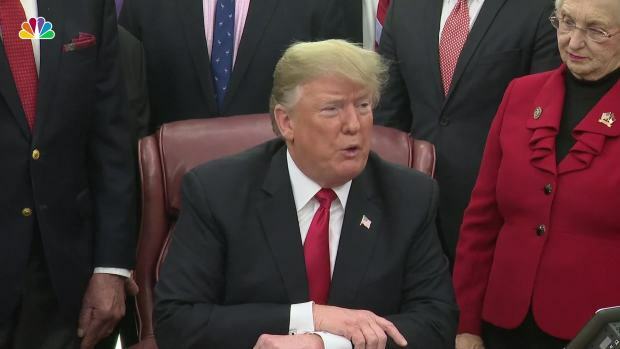 "We will be forced to close the Southern Border entirely," unless a funding deal is reached with "the Obstructionist Democrats," Trump said on Twitter. Congress is closing out the week without a resolution in sight over the issue. It sets up a struggle upfront when Democrats take control of the House on Jan. 3. Trump has signaled he welcomes the fight as he heads toward his own bid for re-election in 2020. "This isn't about the Wall," Trump tweeted Thursday. "This is only about the Dems not letting Donald Trump & the Republicans have a win." 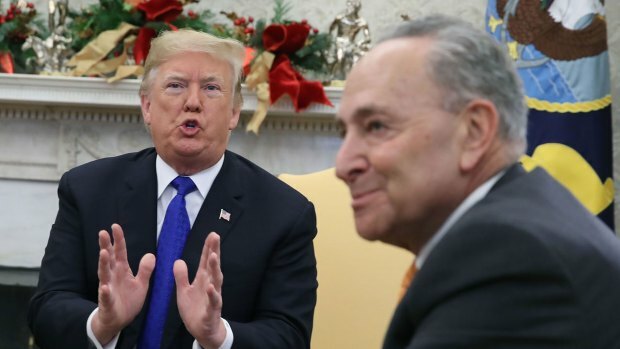 He added Democrats may be able to block him now, "but we have the issue, Border Security. 2020!" "If they can't do it before January 3, then we will do it," said Rep. Jim McGovern, D-Mass., incoming chairman of the Rules Committee. "We're going to do the responsible thing. We're going to behave like adults and do our job."